Lightbox House by Edwards Moore Architects Lightbox House: Perforated Floor Not as Terrifying as It Sounds Lightbox House by Edwards Moore Architects transforms a cramped and dark terrace into a light, bright wonder. 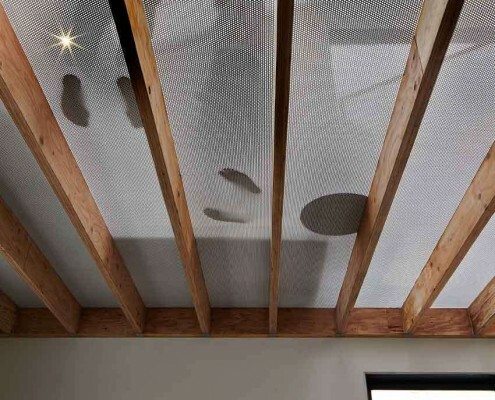 Perforated floor, translucent ceiling and all. 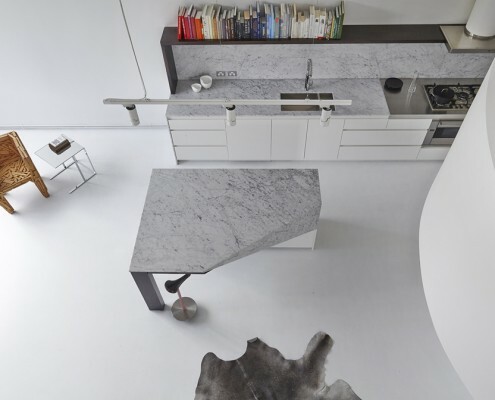 Loft Apartment West Melbourne by Adrian Amore Architects Butter Factory Loft: Walls So Curvaceous They Could Be Cut From Butter This luxurious loft apartment is full of organic curves that could be carved from butter - appropriate because it occupies space in a former butter factory. Doll's House by Edwards Moore Architects Doll’s House: Smallest House on the Street is Transformed The age-old advice is to buy the worst house on the best street. Doll's House was the smallest house in the trendiest neighborhood, does that count? Bow House by Edwards Moore Architects Bow House Twists and Contorts to Let the Sun In Everyone needs a bit of sunshine in their lives. That's why Bow House goes out of its way to let the sunshine in. 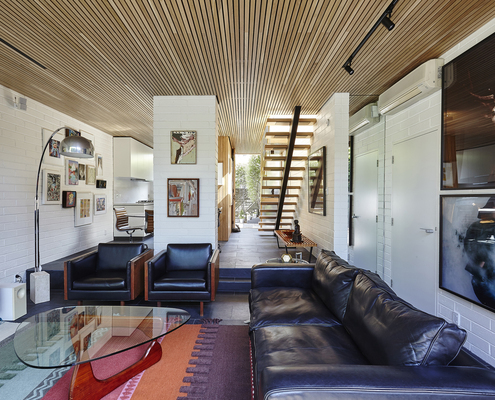 Tardis by Edwards Moore Architects The Tardis: This Little Home Fits a Lot in a Seemingly Small Space Just like the Doctor's TARDIS this home has a surprisingly big interior. 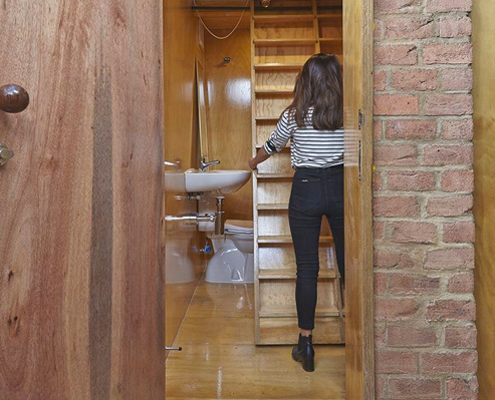 Inside is a completely self contained studio apartment! 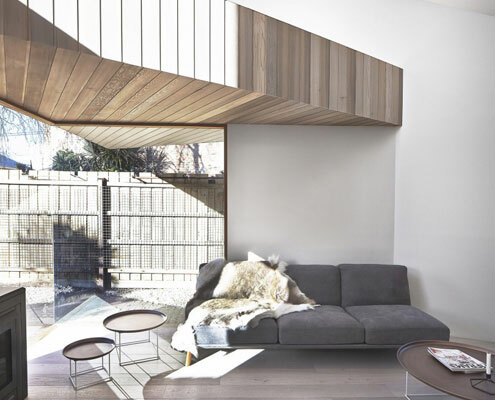 St Kilda East House by Taylor Knights Craftsmanship and Modern Interventions Update this Heritage Home A balance of privacy and the celebration of communal spaces allows two generations to comfortably live together in this renovated home. 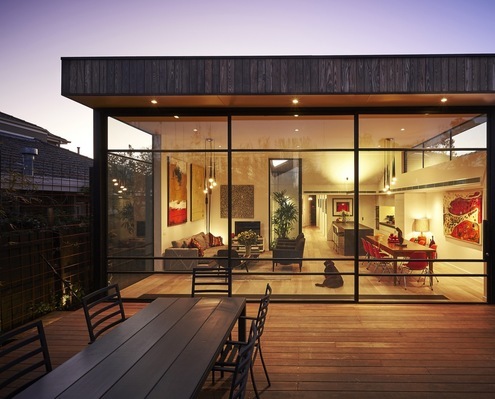 Malvern House by Jost Architects Malvern House is Serious Out the Front and a Party at the Back! 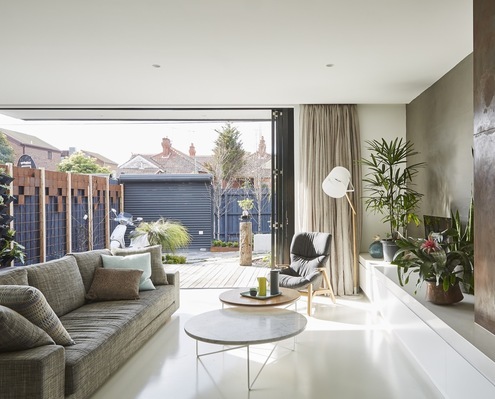 Jost Architects mediate heritage controls and an eager client brief to deliver a delightful update to an inter-war home. 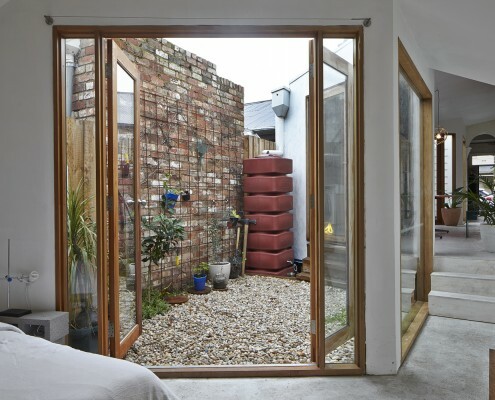 Alfred House by Austin Maynard Architects One Clever Idea Turned a Dodgy Little Light-Well into an Entire Garden By building an extension at the end of a narrow site, Austin Maynard Architects created a courtyard instead of a typical light-well. 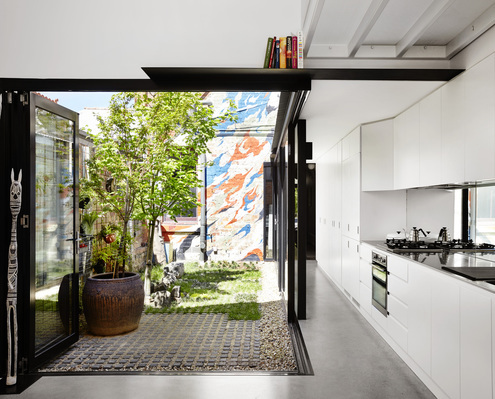 The Terrace by Thomas Winwood Architecture Townhouse is a Taste of the '70s with a Mid-Century Modern Twist This compact inner-city townhouse has been transformed from an unremarkable '70s era building into a timeless, light-filled home. Black House by Austin Maynard Architects "Hindsight; all the things I would have done as a new parent." Apartment living for new parents is not very common in Australia. Can it be done, or is the siren call of the suburbs too strong?